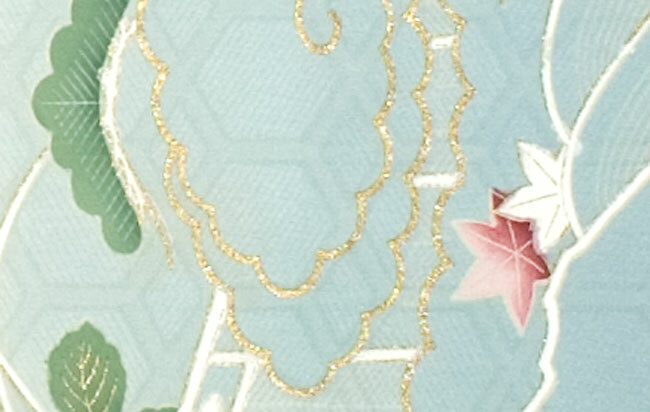 Kimoyes item: 15256 - This is a gorgeous piece of vintage silk taken from a furisode kimono. This is a gorgeous piece of vintage silk taken from a furisode kimono. 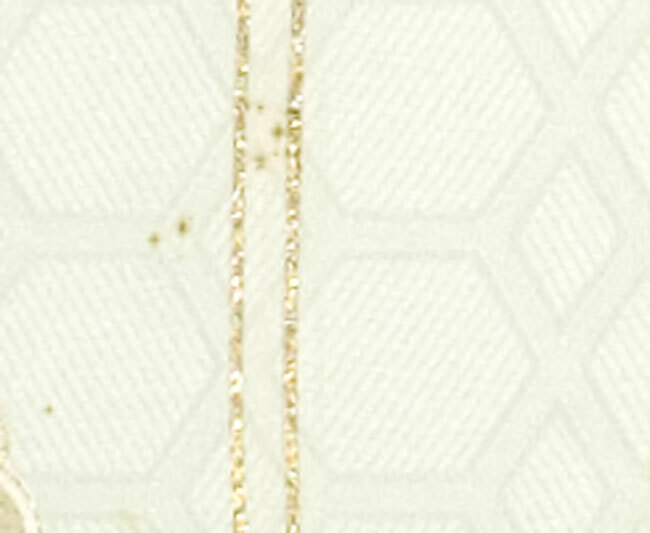 It has a woven honeycomb pattern and is dyed with many traditional designs, some of which have metallic gold outlines.